The Vernons are four guys from The Gold Coast, who – having plundered their parent’s record collections and loaded up on retro-fuelled rhythms and a truckload of optimism – have set out to create music that makes you want to rock. Damn hard. The band’s bio lists their interests as “beer and rock ‘n’ roll” and this four-track debut EP is built on solid foundations of both those things. While it’s hard to describe their music without listing the obvious influences from the best of ’60s and ’70s classic rock, the young quartet have enough of their own thing going on to avoid being labelled copycats. Opener and highlight ‘Shake ‘n’ Roll’ borrows heavily from the likes of Led Zeppelin’s ‘Whole Lotta Love’ and Ten Years After’s ‘I’m Going Home’, and barrels along at a frantic pace from the start, before breaking down into a more bluesy groove as the song progresses. ‘Standing In Line’ is a more controlled affair, but loses none of the band’s trademark groove in the process, while ‘White Wine’ is even smoother still. Closer ‘Mercy’ makes a return to hard-rockin’ riff territory before we get too relaxed and before we know it, the EP is finished. With a similar sound to contemporary bands like WA’s The Love Junkies and NSW’s The Rubens, The Vernons have a good thing going on here, and the fact this EP is called Volume I would surely suggest there’s more to come from these Queenslanders. 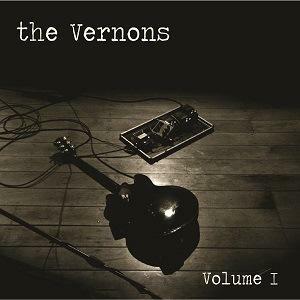 These songs sound like they would be dynamite played live, and with a reputation for a killer live show, The Vernons are a band to keep an eye on.